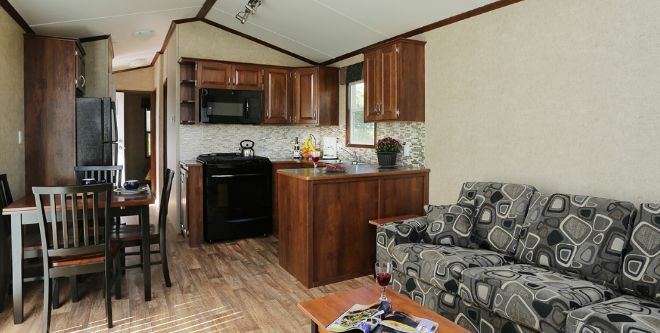 Don't let the dull exterior of this park model RV fool you. 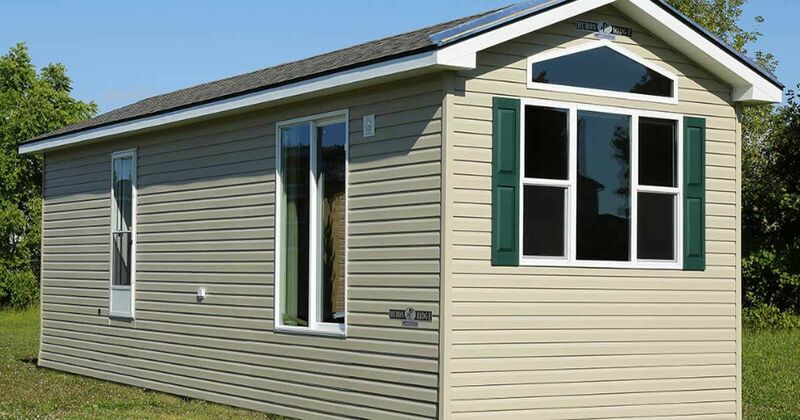 General Coach Canada, a company dating back to the 1950s with roots in the travel-trailer business, is known for its handcrafted, custom park model homes, built with "attention to detail, and emphasis on quality materials and workmanship," according to the company. The company's Frontier Series speaks for itself. The open layout provides warmth and comfort. There's true attention to detail everywhere you look, from the quality of the backsplash to the honeycomb window shades. Everything in the home can be customized to your liking: flooring, countertops, fabrics and more. The home has a full kitchen with plenty of cabinet space. There's also a small dining area. Don't you just love how there's a window above the sink for more natural light? The main bedroom fits a queen-sized bed. A second bedroom in the home can fit a bunk bed — great for guests or larger families. Here's a photo of the luxurious full bath. We love the towel space! 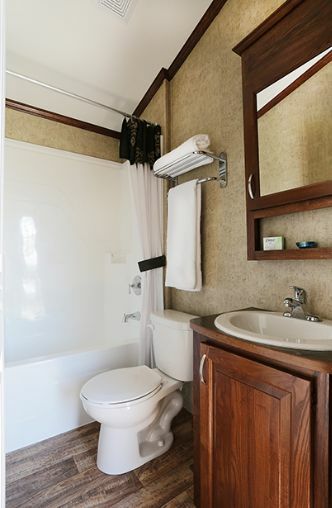 Here's the 474-square-foot (44 sq. m) Falkland design. Of course, this is one of many floor plan options. You can even add outdoor patio/deck space. Enjoyed this home? Please SHARE with family and friends! What's not to love about a park model RV?